I thought you might be interested to see these photos! 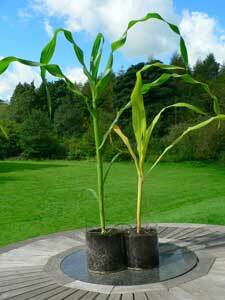 These two sweetcorn plants were germinated from the same packet and under the some conditions, however they were then ‘potted on’ into identical pots using the same compost at the end of June – but one of them had some bokashi added from my bokashi bucket. Neither has had any additional feed since then. Which plant got the bokashi? 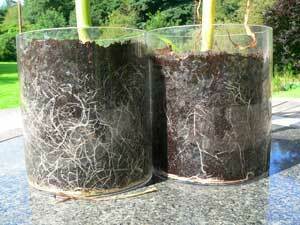 Not too difficult to tell …… but now you need to see how the roots compare! If you were to add bokashi compost to your garden, imagine how your veg and plants will grow! !